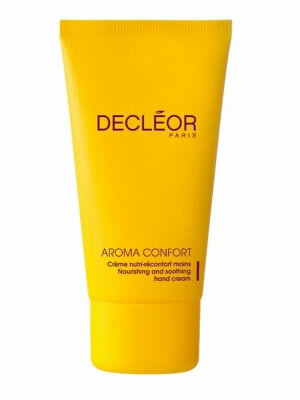 Decleor Beaute des Mains Hand Care Cream helps to resolve your handcare issues. Constantly exposed to the elements, your hands are a tell tale sign when it comes to ageing; replenish, protect and bring back a youthful elegance with this ultra-effective, non-greasy and soothing cream! 3) nourishes and protects from external aggressors to leave the skin satin-soft. This light cream is easy to apply and leaves no oily film. Kept at your fingertips, Decleor Beaute des Mains Hand Care Cream is the ideal daily repair treatment for your hands.